I know I’m late with this post. 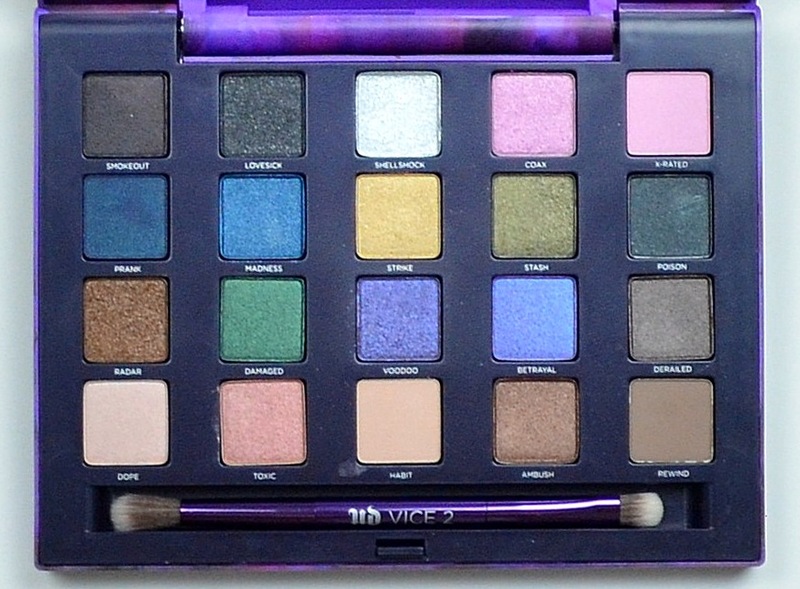 When Urban Decay’s Vice 2 palette was being promoted, I didn’t fall for the hype and rush to buy. I wasn’t impressed with the first Vice palette so I wasn’t too excited with the second. I’m glad I caved because this is a really nice palette. Especially for those who like dark, sultry shades. I’m pleasantly surprised with the consistent pigmentation and the fact that there isn’t a dud in the palette. Vice 1 had a handful of shades that were dead-on dupes for existing Urban Decay shades, just renamed. This palette has some shades that remind me of existing colors, but I’m not turned off by it. The palette has a nice mix shimmer and satin shades with a couple of matte shades as well. As with Vice 1, you get the same dual-ended synthetic brush. It comes in the same, bulky plastic case with a push button opening, with a large mirror inside. You get 20 x.03 oz for $59. The palette is available online at Urban Decay.com, Sephora.com and Ulta.com. I’ve yet to see it in Sephora stores, but it should be arriving soon. The standout shades for me is Smokeout, Prank, Madness, Stash, Poison, Radar and Damaged. I wish cool-toned silvers worked well with my warm skin tone because the pigmentation on Shellshock is otherworldly.